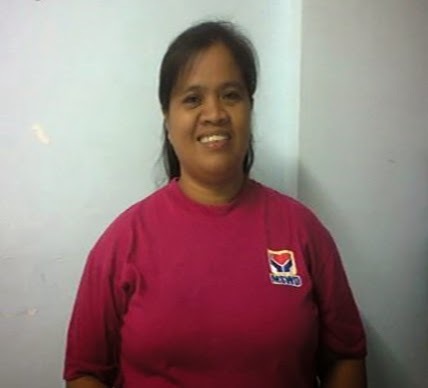 Alma Bescoro, 36, was working in a day care center when Typhoon Haiyan devastated her community in November 2013. When Food for the Hungry (FH) entered the community and established Child Friendly Spaces, Alma immediately volunteered to help nurture and protect the children who had become so dear to her. She was impressed by FH’s efforts to give traumatized children a place to develop, play, socialize, and expressed themselves as their families rebuilt their lives. The program concluded after nine months, but Alma’s passion to continue helping the community’s children continues. There is clearly much left to be done,” she said. “Whatever it is that I am going to do, I had better get on with it. The span of nine months molded me to be more equipped as a Day Care Worker because of the various trainings that I attended. She learned about her country’s laws for protecting children. I will always be vigilant to support the best interest of the child. Whenever there is an opportunity to help, I never hesitate to do so. Alma worked alongside her husband during those months, who was the facilitator of FH’s Child Friendly Spaces program. It was a great blessing, and I’m very thankful,” she said. “It helped a lot to sustain our basic needs, repair our house and send my daughter to college. It served as my stepping stone to move forward, to develop my spirit of volunteerism and to be self-reliant. It warms Alma’s heart when children call her Mama Alma. She receives great joy in knowing that she has helped them to be the happy, resilient children that they are today.